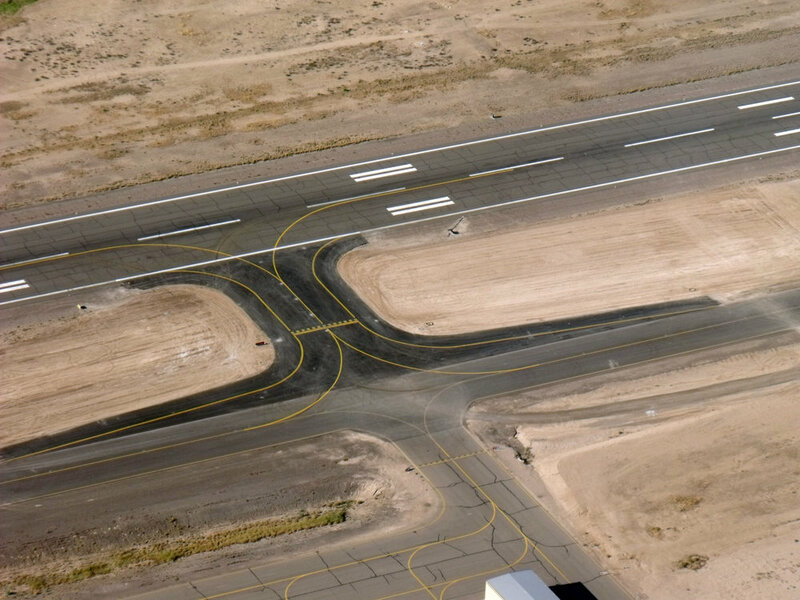 This Phoenix Goodyear Airport Design-Build project included the replacement, widening, and realignment of existing Taxiways A4, A5 & A6, and A7 to meet Group IV category aircraft operations per the Goodyear Airport Master Plan and FAA Circular 150-5300-13 Airport Design Guidelines. 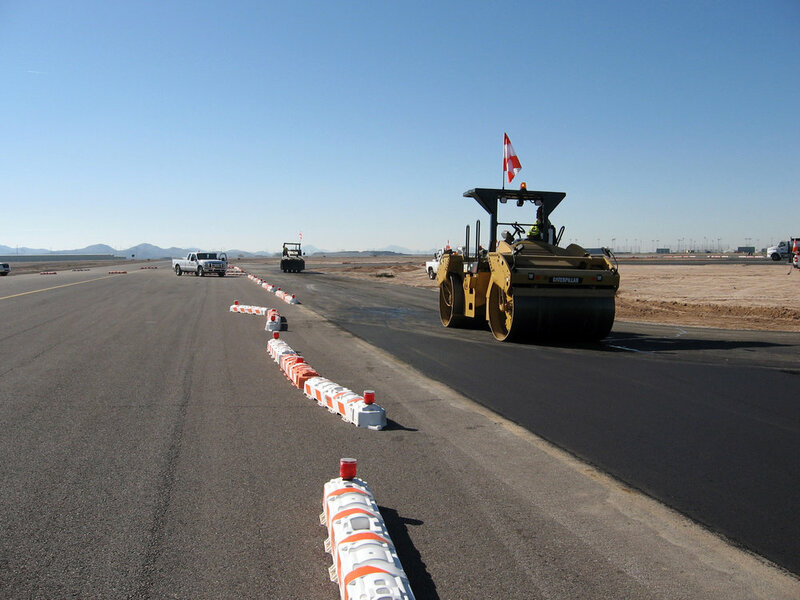 The project was completed in three phases and work was done in accordance with airport security and safety. 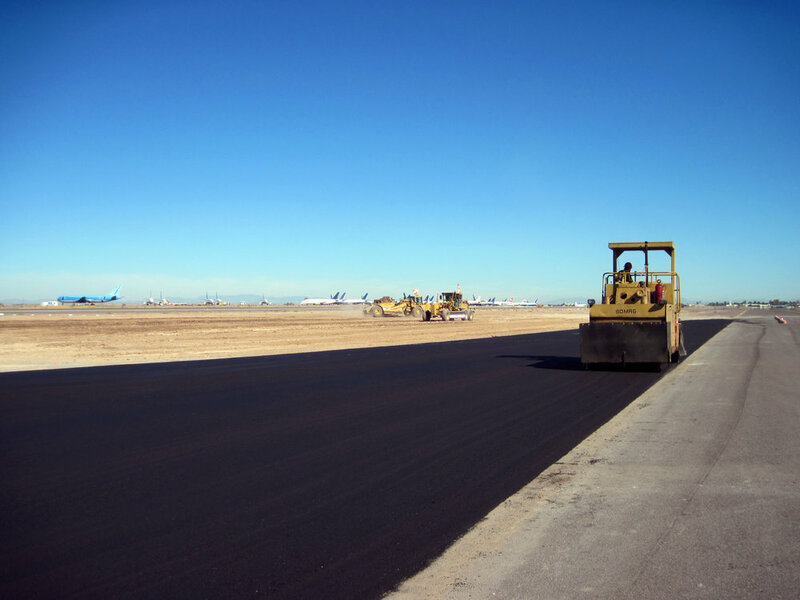 Construction scope included excavation, grading, soil stabilization, and new pavement with asphalt and cement-treated base. Also, new center line lighting was installed as well as the removal and replacement of electrical ductbank and handholes, edge lighting, signs, striping, storm drain pipe and catch basins. 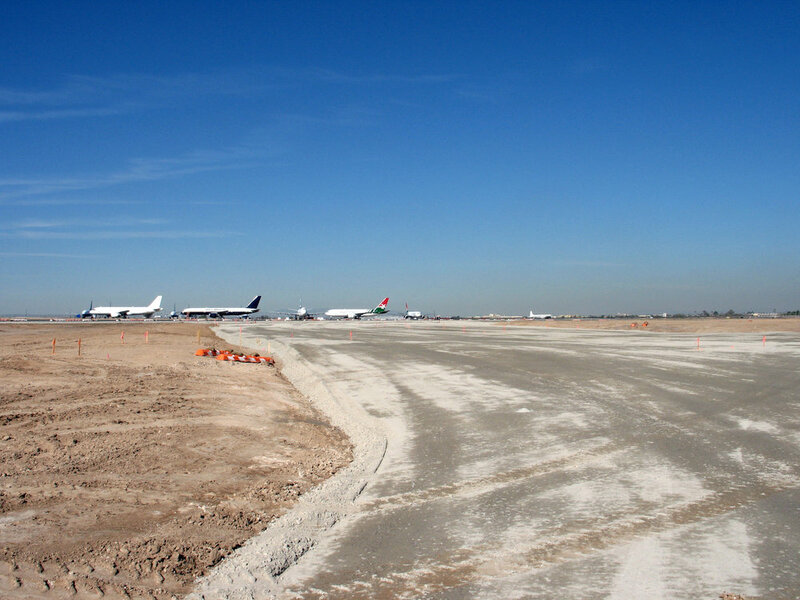 Phase 1 of the project was completed in November 2010 and Phases 2 and 3 were completed in 2012. 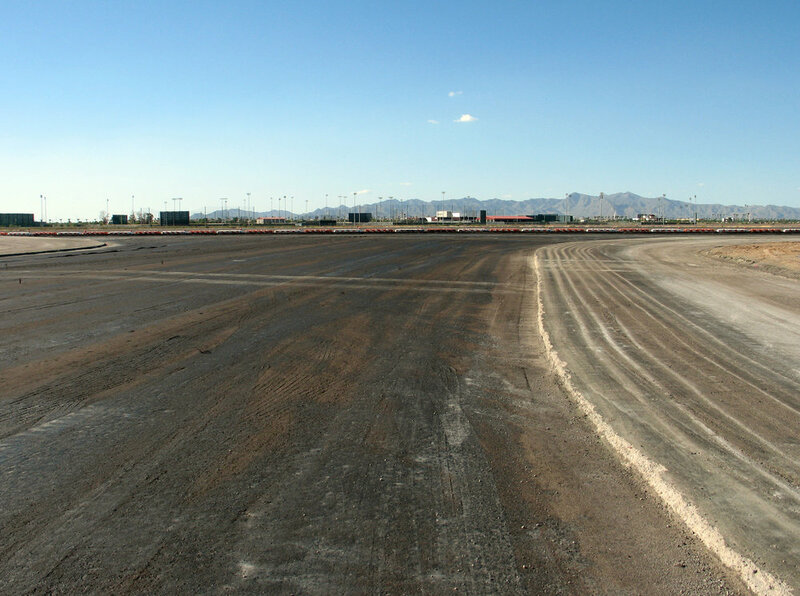 Earthmoving for Phases 2 and 3 consisted of approximately 33,000 cubic yards (CY). 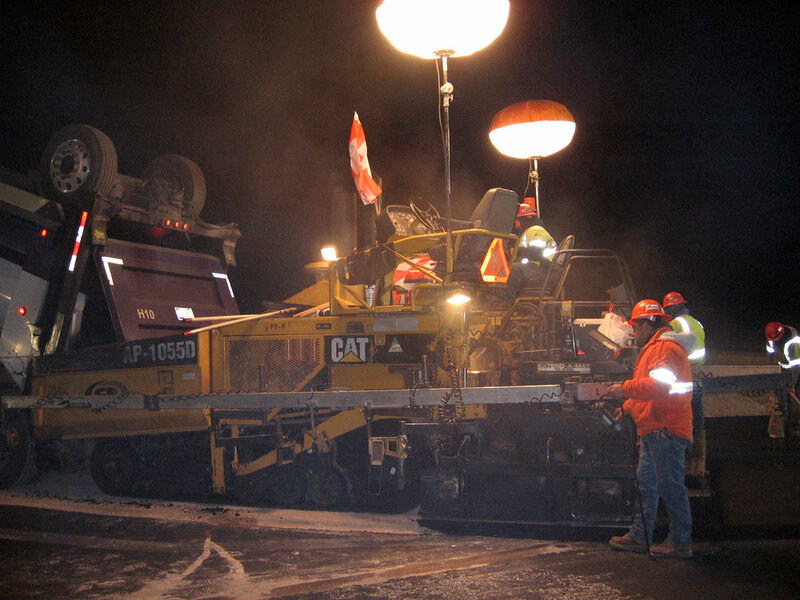 Specific tasks included bituminous pavement removal of 8,000 CY, 3,000 linear feet of saw cut for the existing 7-inch asphalt, 20,000 CY of compacted sub-base material, 16,000 CY of surface stabilization, 28,000 tons of aggregate base course, and 11,156 tons of asphalt placed. 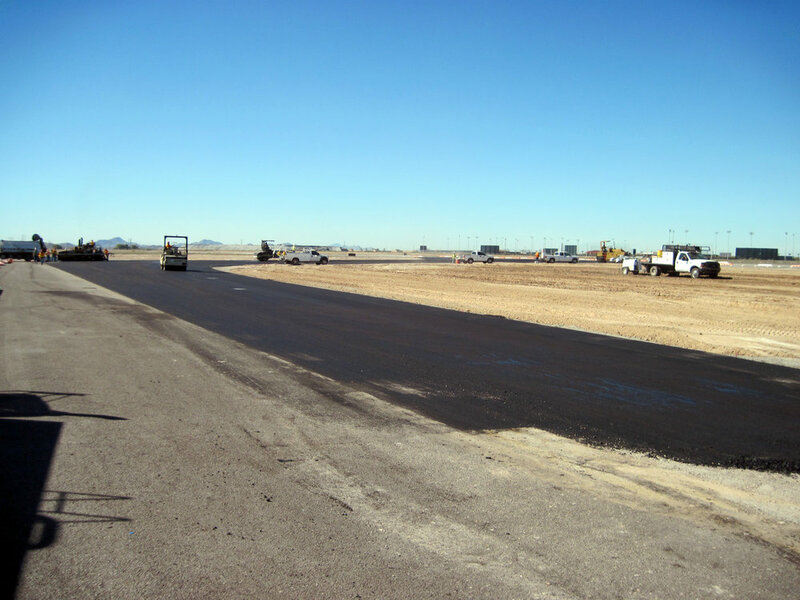 Total pavement: Phase 1: 7,859 Square Yards (SY), Phase 2: 13,705 SY, Phase 3: 13,725 SY. 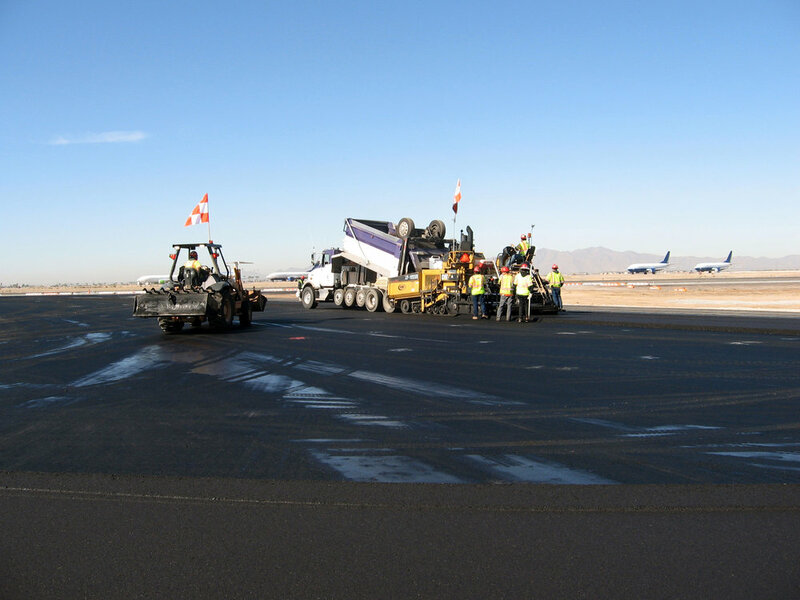 Subcontractors on the project included Premier Engineering Corp., Kimbrell Electric, Royal Electric Company, RAMM Materials Testing, and Combs Construction.